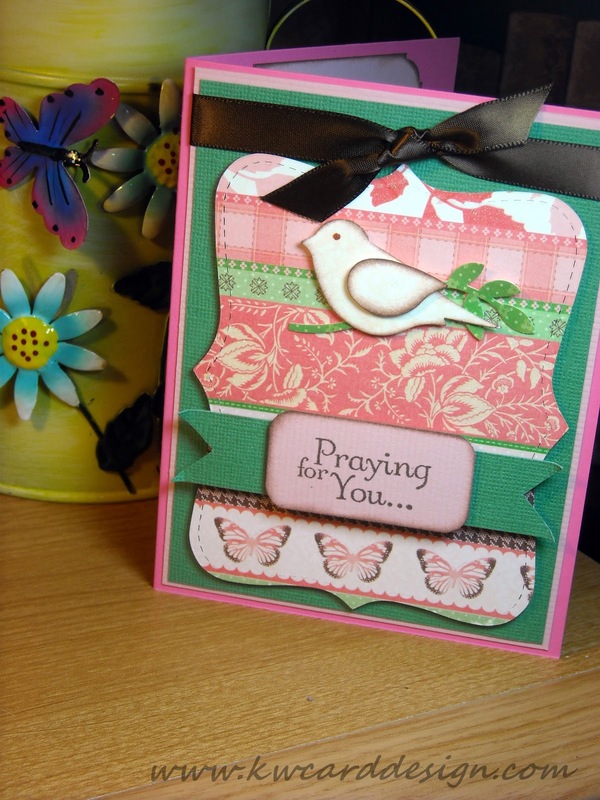 KWCardDesign : For Joplin, MO. Good evening my friends - Tonight I wanted to make this post about the tornado victims, and survivors in Joplin, MO. Joplin is only a few hours from where I live - so it really hits home that that horrific event happened in my "back yard". My husband and I have friends that live in the Joplin area, but thank goodness they were not directly affected on Sunday night. There have been so much support, care givers, donations - you name it to help out these people, and I am happy to know that people still have compassion for others these days! It is hard to find in our society anymore, which is sad! I'm praying very hard that once all the clean up is finished, that people in the area can start to rebuild their lives quickly. I also pray for the families that have lost anyone that they love - whether it be a family member, friend, neighbor, co- worker, or pet. It is mind-boggling that mother nature packs that kind of punch! 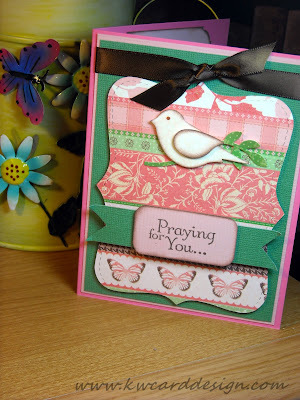 I wanted to close this post tonight by sharing a card of "prayer" with all of you, also. May the Lord bless and keep all of you!